Me: "So what did you say you wanted to be?" SweetPea: "I want to be a princess when I grow up." Me: "Oh, is that so." SweetPea: "Yes, because they wear pretty dresses." Me: "Well, you know to be a princess you have to be really smart and make sure you finish all of our schooling. You need to know how to be a ruler. You also need to be kind to others and make sure you share. You also have to have courage for those times when it can get scary." SweetPea: "It's a big job being a princess." It really is. I'm honestly not surprised by my daughter's response. She loves all things princesses. 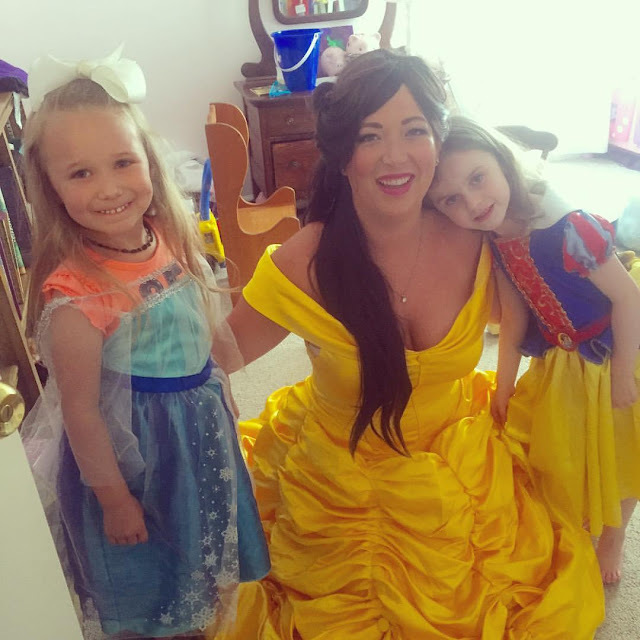 We even had a Disney Princess party when she turned 5. Did you know this week was National Princess Week? 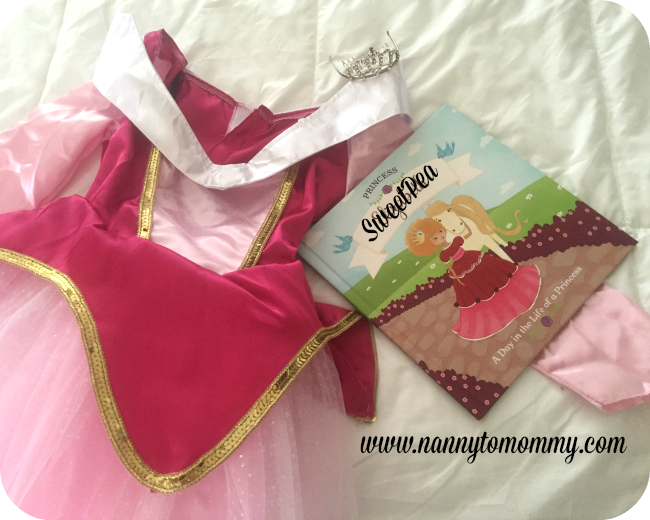 We recently had the opportunity to review a wonderful personalized princess book from I See Me. 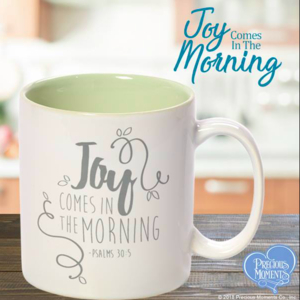 Besides being able to personalize it with your child's name and picture, you can also select their hair color, skin tone, and favorite color. As well as two of the different qualities of a princess: Honesty, Kindness, Intelligence, Helpfulness, Thoughtfulness, Cleverness, Politeness, Humor, Fearlessness, Patience, Imagination, and Enthusiasm. Wish I had used a picture with just her. Oops. 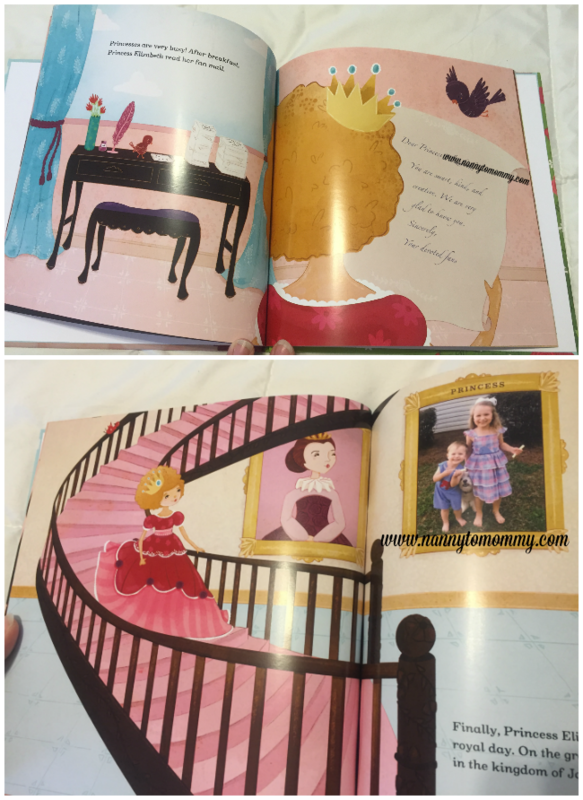 My daughter loves the personalized books from I See Me. Seeing herself or name in the story makes her more involved. She is intrigued with knowing more because the story is about her. I really wish they had a prince or knight option for boys though. They do have My Royal Birthday Adventure. 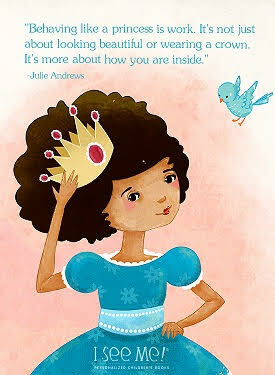 You'll be able to win a personalized princess book from I See Me starting May 1st during the Children's Book Week Hop! The event will run from 5/1 to 5/8. 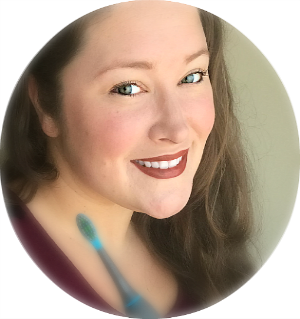 Don't forget to follow ISeeMe on Facebook, Twitter, and Instagram for more unique like this as well. Celebrate National Princess Week with 20% off Princess Items when you use code Princess at check out. Do you have a little princess in your life? I think my youngest would just love the personalized coloring books because she is my little artist. All my nieces want to be a princess. This is a cute book, and I love the way you were able to use her thoughts of wanting to be a princess when she grows up that it is a hard job needing her to study, etc. Nice! I'd give this to my niece. She loves princesses :) I also like the Goodnight Little Me Storybook. It's fun and relaxing to read to her before bed. Such a cute book. 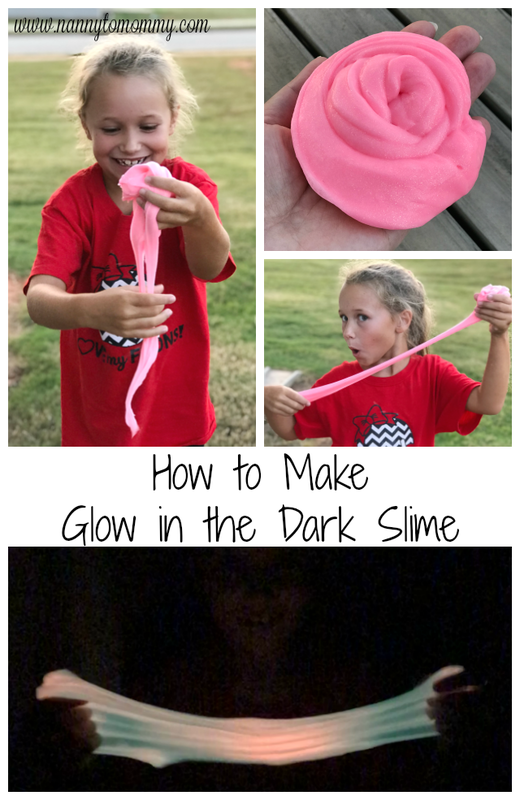 I know my granddaughter would love it. I like their coloring books too. I would gift this book to my goddaughter!! Its been a rough year for her family. My friend's granddaughter is obsessed with all things princess.